You got me. 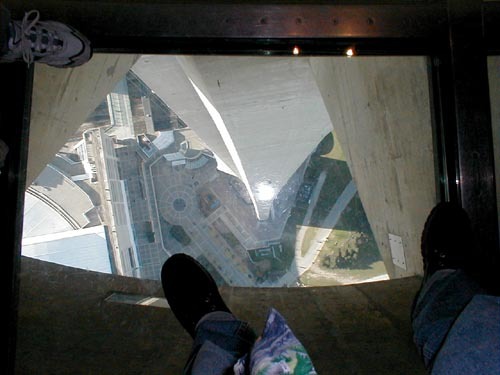 It's a glass floor. No matter how hard I tried to push Jeff through the seams, though, it held.